Damn, so the Coffey experiment is over? Still on the website roster and no mention of being waived or traded on the transactions page. Coffey a 4 in college and seems to still see herself as that, but should be a 3 in the pros. But she apparently has no 3-point shot - attempted 0 in 2017. Sounds familiar with someone in this draft. Why are you bringing the #23 pick Shakayla Thomas into this convo? Laimbeer watching a little light shooting practice with Bone and Wilson. Is that really a right handed jump hook with great form? 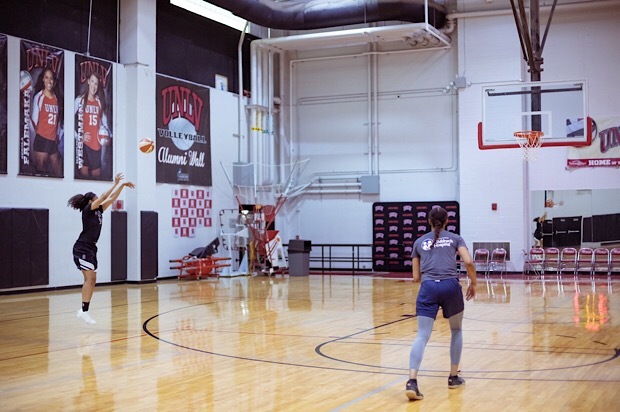 She definitely has lift on that shot....but did it go in the basket? Bone is looking skinny to me. Could Wilson be bigger? She is leaving for the United States on Monday to join a training camp of the Las Vegas club that has picked her. 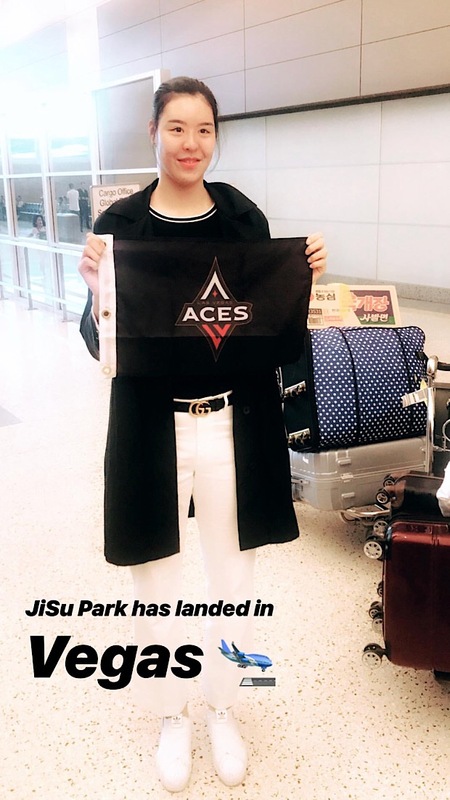 The Las Vegas training camp is scheduled to start on April 29, but the team decided to call Park early on and provided her with air tickets, lodging and transportation to help her to promptly adapt herself to the new environment. The team has thus revealed strong interest in and expectations for Park. Is one of Laimbeer’s post players going to be on the shopping block? I doubt either Swords or Bone are going anywhere. I'd say Hamby is done and they keep 3 centers. Maybe trade Hamby & Coffey somewhere for ??? His time at the Liberty showed his preference for centers. I wouldn't be so sure Nared replaces Coffey in the lineup. I'd want to see what Coffey has done in the offseason. Hamby going away would be addition by subtraction so if you could get anything for her - like even a 2nd round pick next year - that would be to the plus. This is what I have as well. But I would say it Nared or Burdick or Coffey for the back up SF spot. I still think one of Plum/Jefferson could be traded. I'm sure Hamby and Coffey are being shopped. and I still don't think a trade involving Harrison is out of the question. Chicago doesn't need all its wings, NY doesn't need all its guards, LA is in a bind on its perimeter if R. Williams has guaranteed money. Laimbeer liked collecting centers at NYL, so it wouldn’t shock me if he went for Park. I suppose Swords could get bumped if she craps out. Looks like I had it right back on the 17th. And just think.... there should be a flood of talent hitting the waiver wire if LVA wants to upgrade that backup SG spot, and Laimbeer gets first choice. Some rookie possibilities are Scaife and Cowlings. More experienced possibilities are Alexis Prince, Harden, Banham (unlikely), or most likely one of the too many guards in the Sparks camp. Riquna Williams for free? Yes, please. Essence Carson for free? Yes, please. Syd Wiese for free? Don’t mind if I do. Agler is on the ropes. Make him cut a couple of these players. 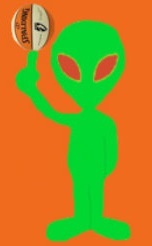 Don’t deal. Coffey seems to be the go-to player at her club in Israel. Trouble is she can get away with playing PF overseas. In the WNBA, she’s that classic tweener. Has post skills but not that great on the perimeter. She’s only shooting a little better than DeShields from the three. I’d be surprised if Laimbeer would love a tweener. The instagram live feed for the aces showed those 2 having shooting drills . Nared looks like the better player obviously . 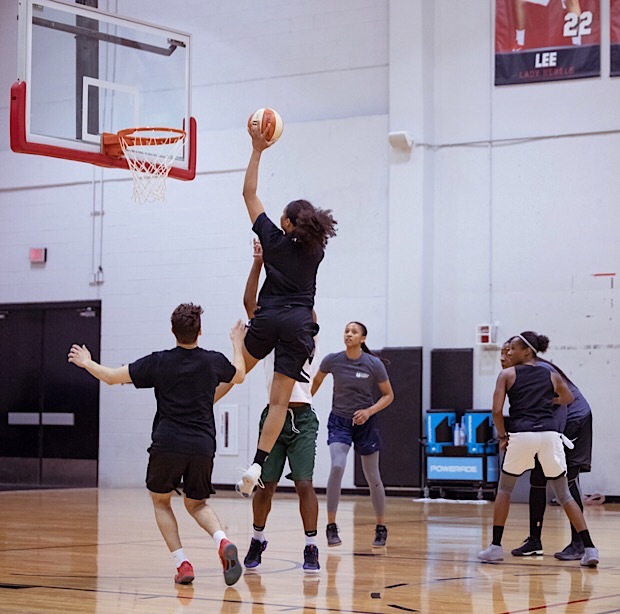 Coffey would be a nice waiver wire pickup(Sea,NY,Ind)..she just needs to abandon the idea of being a Power Forward and exclusively develop her body/skill set for the Small forward position. Who thought that, just because myrtle thought Coffey should be given a chance? They were both hitting threes from what they showed. I’m sure she was up for whatever last season. It was that bad situation in San Antonio that decided she should be the 5th post at only 6’1. Coffey’s not a PF in the WNBA and Harrison is not a center. And people wonder why they were the worst team in the WNBA last season. 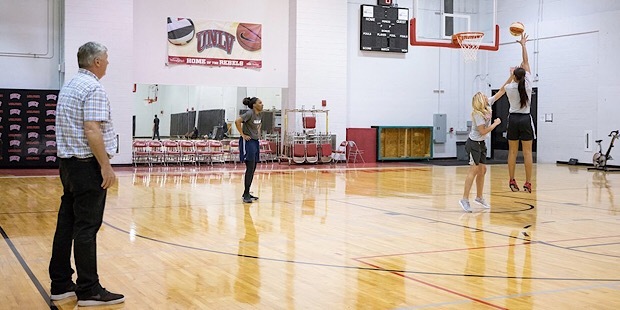 Anyway it looks like Laimbeer has Coffey working on what she needs to and training camp isn’t even open until Sunday. Nothing is going to be decided on a couple of shooting drills. She's a second-round pick on what's become a somewhat crowded roster - considering her a lock seems optimistic. Also, with the number of posts they've added, her potential ability to play both forward spots becomes pretty redundant. They're gonna need all those post minutes to find time for Wilson, Harrison, Bone, Swords and maybe Park/Hamby/Coffey/Burdick etc. So it comes down to whether you think she's good enough to produce at the 3. Nared has a pretty good handle, so it’s conceivable they could slot her in that now weak backup SG role. The official roster does list her as G-F. I suppose Young could be the backup SG also. Laimbeer probably had her in mind for a starter’s position. She was a quick signing. People seem to be forgetting about Valeriane Ayayi, who also should be in competition for the SF spot. I highly doubt Bill Laimbeer would cut a talent with Nared's upside when there are multiple teams desperately searching for a SF...Nared would get traded before getting cut. Nared was the 13th pick in a deep draft.She has some trade value. She's the 13th pick in a deep draft.Nared has some trade value. Eh, for what? You're not getting a first-round pick for her, so it's either some unwanted guard elsewhere or at most a 2nd. So yeah, some trade value if someone else happens to want to preempt the waiver wire, but probably not much. Most teams already have too many players on their own rosters at this time of the year. Or maybe part of a package deal. Coffey getting some nice elevation while Nared stands there in awe. Looks like things are over for Nared. It wouldn’t surprise me if it were fake (because even fake ones go for $100), but check out the Gucci belt on Park. Already showing a diva side. 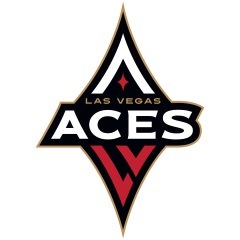 Laimbeer, can I get one if those authentic Aces flags?